Sydney Shop Girl: Tunes. The Very Hungry Caterpillar. My Skin Care Saviour. Tunes. The Very Hungry Caterpillar. My Skin Care Saviour. It's a glorious time of the year, isn't it? Winter is on its last legs here and the sun is making an appearance earlier in the morning these days as well. It's also hanging around into the late afternoon. There's no denying the fact that feeling the sun on my face again also puts a smile on it after a cold and grey winter. Good driving music also helps to kick those winter blehs to the kerb. And seeing as it's a cruisy Friday, I thought I'd share a couple of links to some of my favourite music this week. My happy song the week is Lily Allen's LDN which was released in 2006. It's just so bright and happy. If it were a colour, it would be a bright yellow. That slightly reggae references and Lily's 'pop with depth' voice is a guaranteed antidote to winter. My other song of the week is more of a tear jerker. It's Willie Nelson's cover of Always On My Mind. 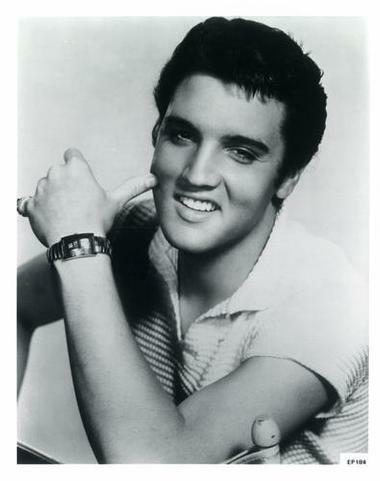 It's been 35 years this week since Elvis Presley passed away and his music still lives on as his original recordings, remixes and some pretty iconic cover versions. It's not been the most exciting week in television (guess who's waiting for Brynne's debut on Seven) but the Closing Ceremony for the London Olympics made up for it. The breadth and depth of British talent that the organizers were able to assemble for the extravaganza was amazing. No musical genre was left out and there were artists who appealed to every generation as well. Visually, it was a spectacle as well. The ceremony was great fun to watch, even at home and thank you, Olympic Committee, for inviting The Spice Girls! To embody the spirit of cruisy, I wore my smooth line trousers from Isabella Oliver to work today. It's always a good thing when work trousers feel like yoga pants but look way more formal. I was languid, centred and calm under pressure all day thanks to these trousers. I was obsessed with The Very Hungry Caterpillar when I was a youngster. Eric Carle's vibrantly painted work is now an industry of its own. 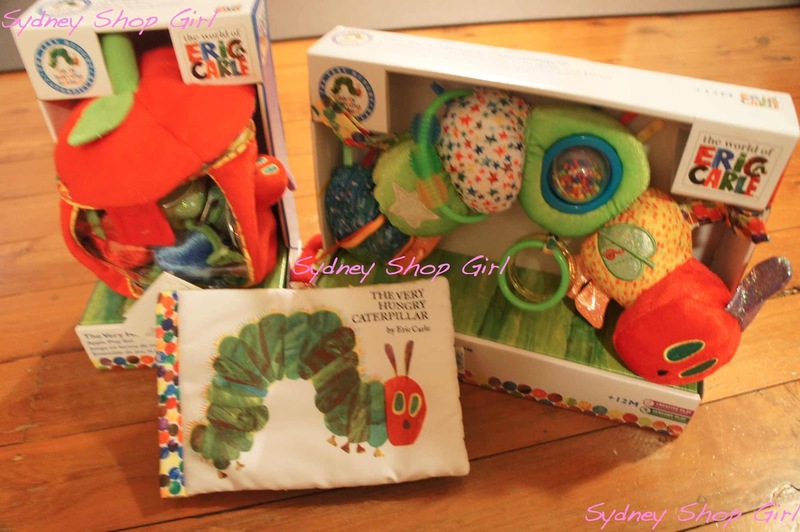 It's a Very Hungry Caterpillar trifecta! You can never have too many back ups of your favourite skin care. It's an SSG Manor house rule. Fortunately, something arrived in the post that I could open and use right away. 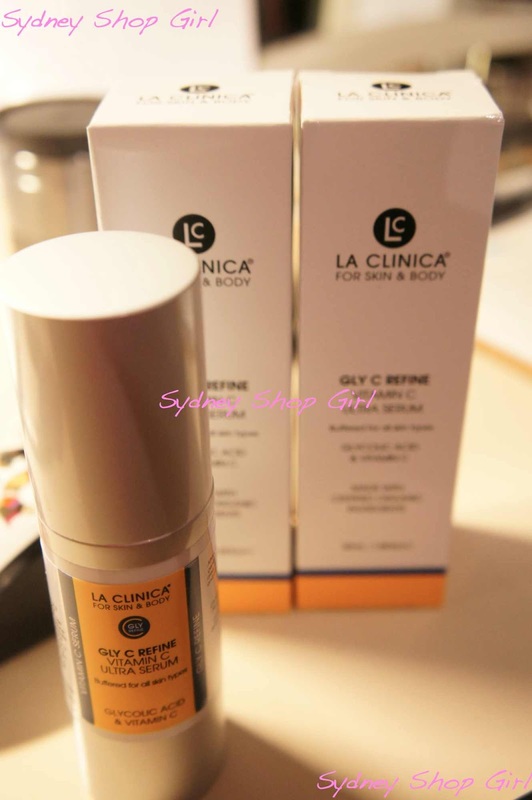 My emergency re-order of La Clinica's Gly C Refine Serum. My first bottle has done nothing but good to my face, leaving it smooth and blemish free every morning since I've started using it. Together we've sailed the stormy seas of fluctuating hormones with relative calm. Here's to the weekend! It looks like more sun here in Sydney so I'll be doing my best to out amongst it for as long as the sun is shining. La Clinica is amazing stuff! And such quick shipping. Everyone is using it now in this house. I can't wait for my eczema to go away! And I want to start using Gly C! I've been lurking for a while, but this post inspired me to comment and leave a link to a very cute hungry caterpillar lamp - http://www.madeit.com.au/storecatalog.asp?userid=18805. My daughter has one and I love it. I have no affiliation with the maker or anything - I just love the hungry caterpillar too! I love Hungry Caterpillar, also a favourite of mine! I love, love, loved the Spice Girls on Sunday night, although I regret staying up so late to watch it through to the end, I was absolutely wrecked on Monday morning! Thanks so much for the link, Allison! It's so cute. No way re your French obstetrician!!! I've never heard of La Clinica before...uh oh, more beauty products to try! Well worth it, Melanie! They have a range for practically everyone. Brownies, Burritos and Jumeirah Janes. A Half Birthday. The Day of the Phoenix. Crazy Hats. The Season of the Drape.